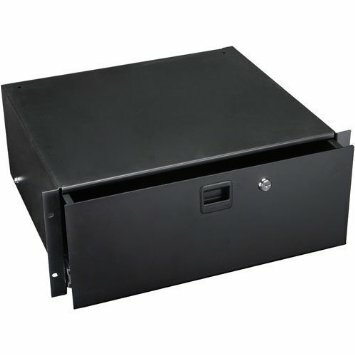 Heavy-duty rackmount storage drawer features full-extension ball bearing slides for easy access and smooth operation, spring-loaded slam-latch to keep drawer closed, and built-in lock to keep your contents secure. Constructed of 1.2 mm / 0.047" steel. 14.46" external depth. Fully enclosed. Black finish. 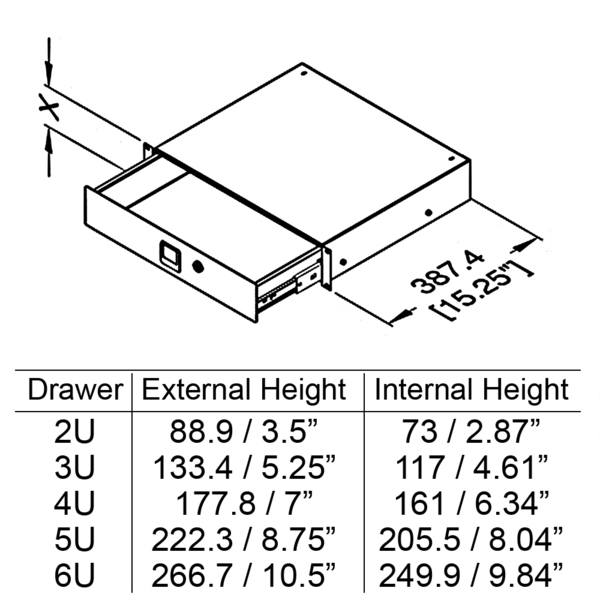 Racking height: 4 space (4U), 7". Penn model 3234LK.